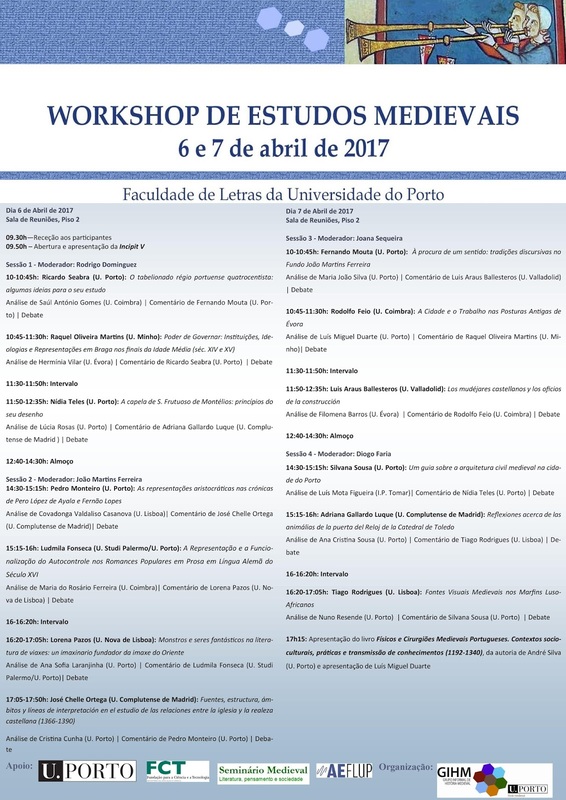 A X edição deste Workshop realizar-se-á nos dias 5 e 6 de abril de 2018, na Faculdade de Letras da Universidade do Porto. Os resultados da seleção serão comunicados até ao dia 31 de janeiro de 2018. 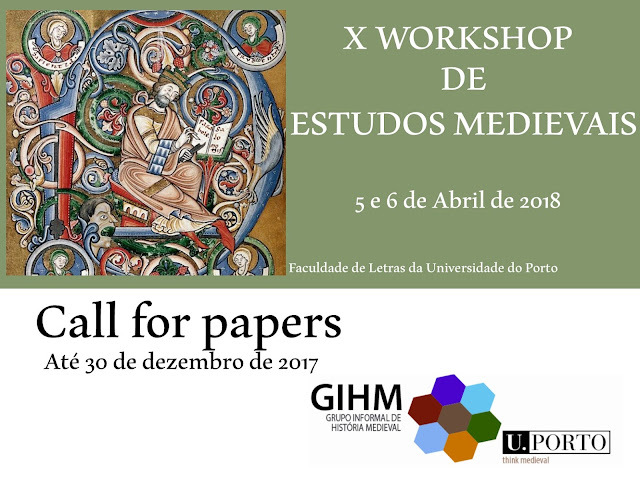 Os candidatos cujas propostas forem selecionadas devem enviar os artigos, seguindo instruções disponibilizadas pelo GIHM, para gihmedieval@gmail.com até ao dia 15 de março de 2018. This call for papers is open to all Master's and PhD students in History, History of Art, Archeology, Philosophy, Philology or Literary Studies who intend to debate, discuss and improve their dissertation projects. Students who pretend to present end results or theses which have already been finished will not be selected. 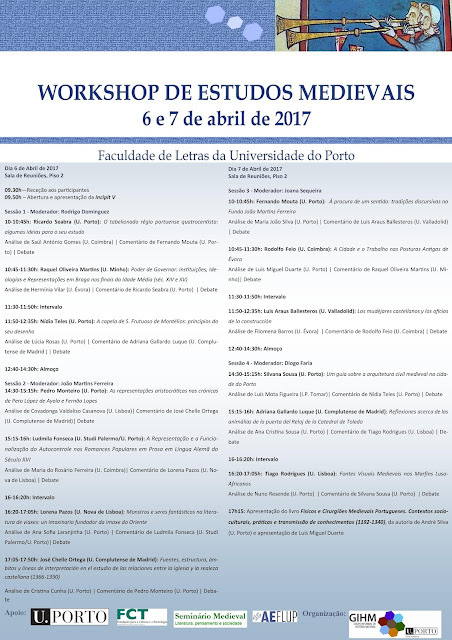 The 10th edition will take place at the Faculty of Arts of the University of Porto on 5-6 April 2018. The deadline for submission of proposals is 30 December 2017. Notifications of acceptance/rejection will be sent until 31 January 2018. The selected candidates will be asked to send a written article, following the guidelines sent by GIHM, to gihmedieval@gmail.com until 15 March 2018. Presentations will be allocated 15 minutes for presentations, 15 minutes for questions (5 min. by a fellow peer and 10 min. by a fellow expert) and 15 minutes for general debate.